I invite you to take a moment to remember when you were in your twenties-let’s say…23 years old. Maybe you were stepping out into the work force and anxious about launching your career. Maybe you were seriously dating, but concerned if this man was Mr. Right. Or, maybe you were carrying a load of debt from college loans. I am guessing that one emotion that bubbles up with your memories is a bit of uncertainty. That word definitely wells up in the decade of our twenties. Am I making the right decision about my college major? Or, does he really mean it when he says he loves me? As well as the all pervasive insecurity of what is my true purpose in life? All of these uncertainties (and many more) swirl through the minds of the twenty-something woman and foster a sense of insecurity. What do you remember doing when this emotion showed up in your life? You probably called your girlfriend and dished about your plan of action to conquer these life questions and uncertainties. There are many ways to minister specifically to the twenty-something woman. It is important to be relevant and authentic while speaking directly to the specific issues that are common to this demographic of women. But, I believe the foundation of a twenty- somethings ministry is to create an environment where they are free to connect, be heard and feel as if they are not the only one in the boat. While working with She Seeks this past year, our intent has been to do just that. In fact, one of the pages of the site is entitled “Express Yourself.” This has been a spot for the women to tell us silly things like their favorite ice cream flavor or lip gloss color. On the more serious side, the women have also expressed deep spiritual desires, concerns and even uncertainties in their relationship with God . What is so fascinating is that the women have connected and encouraged each other with out our intervention; they have reached out on their own to make another woman feel like she is not alone in her struggles. The scenario mentioned above can be duplicated in a live (off line) ministry as well. 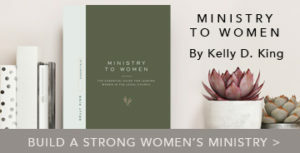 By building a foundation of connectivity and commonality, a ministry for twenty-something women can become a vital part of the church you are serving in. 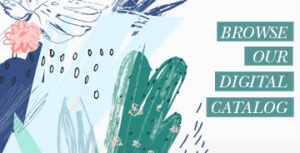 What better way to reach out to these women than by expressing your empathy in their life situation and connecting them with a network of women who share the same concerns? This will open the door to rich conversations about how Jesus will grab hold of their uncertainty and walk them through every step of their twenties and beyond. Do you have a thriving twenty-something ministry? Please share how your ministry has fostered the environment of commonality and connectivity. 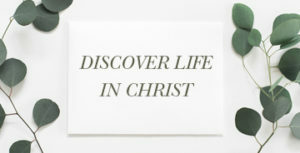 Resources: Threads is a division of LifeWay specifically for young adults. Check out all their great resources geared toward this age. Sarah Martin can easily count on two (or more) hands the life lessons from her twenties that she would like to impart on her younger girlfriends. She is passionate about reaching out to women in their twenties and loves connecting with them via She Seeks. She Seeks is a division of Proverbs 31 Ministries and focuses on women 18-29 years old who are single and in the college/career stage of life. Read more from Sarah and the She Seeks team or Sarah’s personal blog Live It Out.